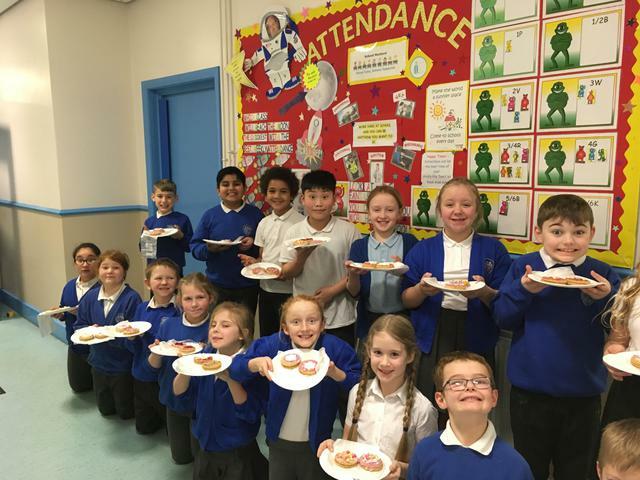 We had 102 pupils who had 100% attendance for the Autumn Term which was September to December 2017 and today they were rewarded with biscuit making. It was very messy but lots of fun especially when afterwards the children were then allowed to eat them. 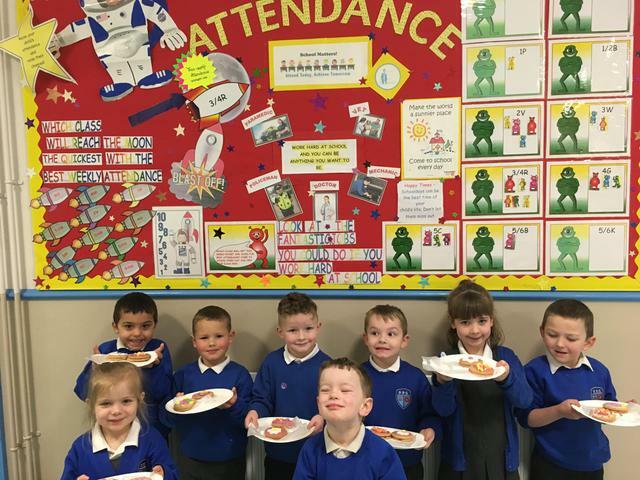 We had lots of laughs and giggles whilst decorating and we look forward to the next attendance awards. Lets aim for a higher number than 102 if possible.